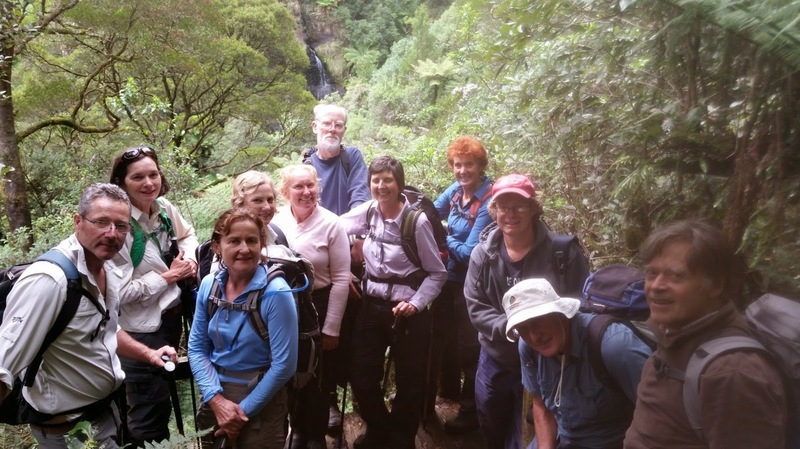 Walkers:- John Piesse (Trip Leader), Richard & Jennifer Morrow, Nick & Wendy Speer, Les Roe, Jenny Grice, Christine Barr, Tom Cobb, Vivien Watts, Lisa Hunter, Alan Dow. 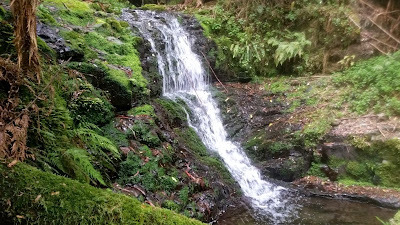 A dozen walkers set off from the Sunnyside Road carpark to embark on a challenging day in the Otway ‘bush.’ We made our way passed the old Henry Mill site and worked our way to Smythes Creek. 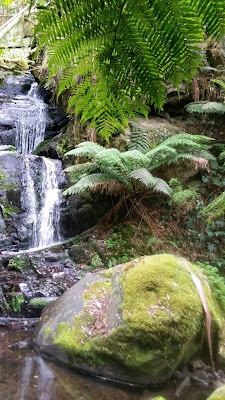 We descended to the two Upper Sabine Falls before returning to the main track. We soon reached to old logging track of which we slowly followed all the way along the spur to the creek once again. Following this watercourse for a while, we came to the small but lovely Gorge Falls where lunch was had. After the initial steepness to leave the valley floor, the track meandered until we came to main viewing platform. Sabine Falls is the tallest waterfall complex in the Otways, consisting of three waterfalls, plunging down a 130 metre escarpment. Although Sabine Falls wasn’t looking at its best because of the lack water flow, it was a good chance to take a group photo. 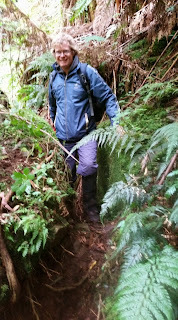 We then continued upwards to where we were earlier, thus completing the circuit. After finishing at 4pm, some walkers chose to have coffee n snack between two different venues in Forrest. 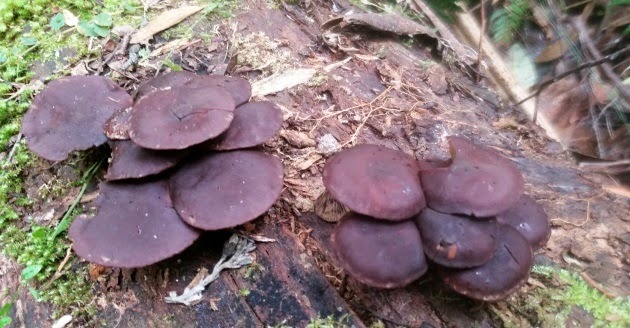 The whole day was a pleasure to walk, not saying it was easy, but a chance to appreciate the majesty of the rainforest; from the understory saplings to the huge Eucalyptus trees, from the filmy ferns to the big tree ferns, and the fungi was everywhere. And the weather was fine and cool. Thanks to the Leader, walkers, and a mention to the ones who cleaned up the track prior to the walk.